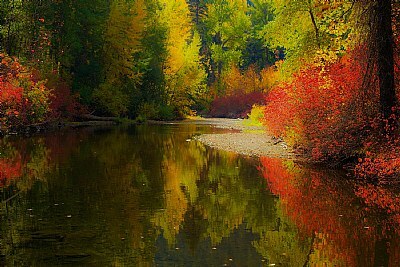 About I found this place loaded with fall colors on Hwy 2 along the Wenatchee river near Leavenworth Washington. I do like this one Paul. It has lots of beautiful Autumnal tones and the bonus of the reflection dancing in the slightly rippling water surface. Wonderful.